A well-heeled suburb of Minneapolis, Edina owes its name to its Scottish heritage. Edina also is home to precisely two billionaires, neither of whom are lawyers. There are plenty of excellent attorneys in Edina, however, and they are ready and willing to represent you. Edina lawyers can help you in criminal defense, bankruptcy, personal injury, wills and trusts, family law, and any other legal issue you may be having. Attorneys in Edina recently settled a case involving search terms on Google. A local realty company noticed that a rival firm was coming up first when someone typed their name into Google’s search bar. This rival had paid for the top spot, but the realty company wanted their own name to come first. The two parties settled out of court, and the realtor now enjoys the top of the search results. Edina lawyers are familiar the Hennepin County court system, part of Minnesota’s 4th judicial district. 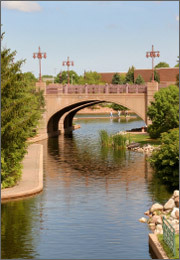 Lawyers in Edina will know the judges, court staff, and other Edina attorneys. Even if your case does not go to trial, this local know-how may help you favorably resolve your case. Need help finding the right Edina lawyer for you? By telling LegalMatch.com some basic background information on your case, our database will match you to local Edina attorneys that specialize in your particular issue. Our service is completely free and your information will always remain 100% confidential.